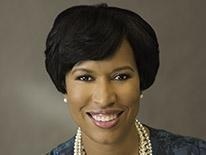 (Washington, DC) -(RealEstateRama) — On Tuesday, February 5, at 3 pm, Mayor Muriel Bowser will unveil the unprecedented number of affordable housing units produced and preserved during her first four years in office. This announcement will take place at the ribbon cutting for the Baldwin, a 100 percent affordable, mixed-use housing community in the H Street Corridor. Press interested in attending the event are asked to RSVP to . To view the event online, visit mayor.dc.gov/live or tune in on Channel 16.